Effective AED programs are designed to deliver shock within 3-5 minutes of collapse. We maintain every aspect of your AED to ensure you are able to provide help in time. AEDs are a very important part of the total response to sudden cardiac arrest. Sudden cardiac arrest (SCA) is the leading cause of death in the U.S. and it claims approximately 365,000 lives in North America each year. Advanced CPR Training now offers the ability to lease an Automated External Defibrillator and equipment at a low monthly cost! We are mindful of your budget and need to have an AED unit accessible quickly to administer emergency first aid. Package options are customizable and available to all businesses. Advanced CPR Training handles everything you need from start to finish. Advanced CPR Training is your exclusive AED provider providing Free CPR/AED Training for up to 20 people every 2 years with the 3-year leasing commitment. 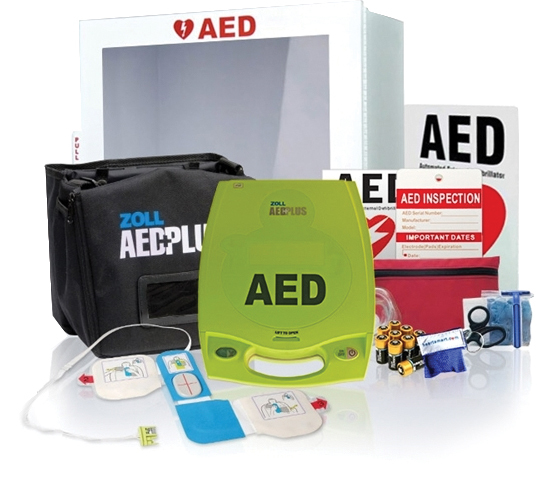 Advanced CPR Training distributes Zoll AED and Phillips AED, the most popular units. We provide the required Medical Prescription needed to purchase the AEDs and Medical Direction & Oversight by our Medical Director, saving you a step in the process. Service excellence is one of our core values, and we’re one of the few resources in the DFW area to provide this affordable option and ongoing support for your business, including AED certification, CPR certification, and many more first aid refresher courses. How many rentals do you require? What State/State(s) will the rentals be sent to?